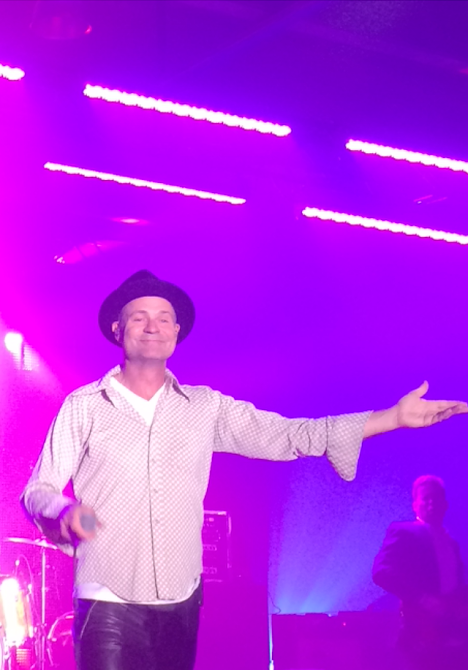 The Tragically Hip know and love The North. 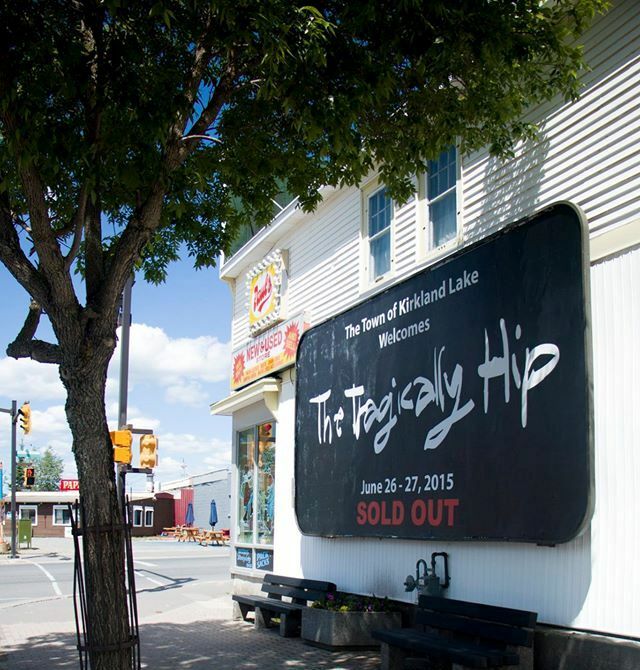 This night was the first of two sold out nights on the Kirkland Lake leg of The Tragically Hip’s 2015 Fully Completely Tour. This being the tour that features that 1992 Diamond selling album live in it’s entirety. The Hip and the North. Maybe some of our readers have forgot the group played Fort Albany back in 2012 for the Great Moon Gathering. That song, along with Tom Cochrane’s Big League is easily a blue print for hockey anthems. Heck, I had just watched the hockey draft before heading out to the show. Hockey aside, and the Emms family name knows hockey, this was simply a magical night. Their blistering all encompassing first opening night provided fans with a glimpse into the group’s tough yet at times intimate sound. “Oh yes, we can feel that vibe” said guitarist Paul Langlois talking after the show. We feed off of it and it becomes an integral part of what we do live on stage. And besides Langlois should know. His interlocking guitar work with lead guitarist Rob Baker is a mainstay of the band’s compelling groove. Downie’s swagger and intelligent lyrics often bring transcendence to any Hip concert fan. This is a singer who looks his fans in the eye and reacts with the band on every dynamic. Hip Fandom is a whole other other gig folks! You may remember these guys have headlined festivals where there have been upwards of 50,000 people. But, on this night it’s all about KL and the incredible Kirkland Lake Festivals committee headed up by hard working Robin Connelly with massive support from the community. The Hip for not one but two nights. I’m a writer not a photographer but I did ask to get moved along the front barricade for a decent shot. Good I said, What a vibe coming off the band, it’s incredible. Oh yeah, for sure he replied it’s my 19th show. 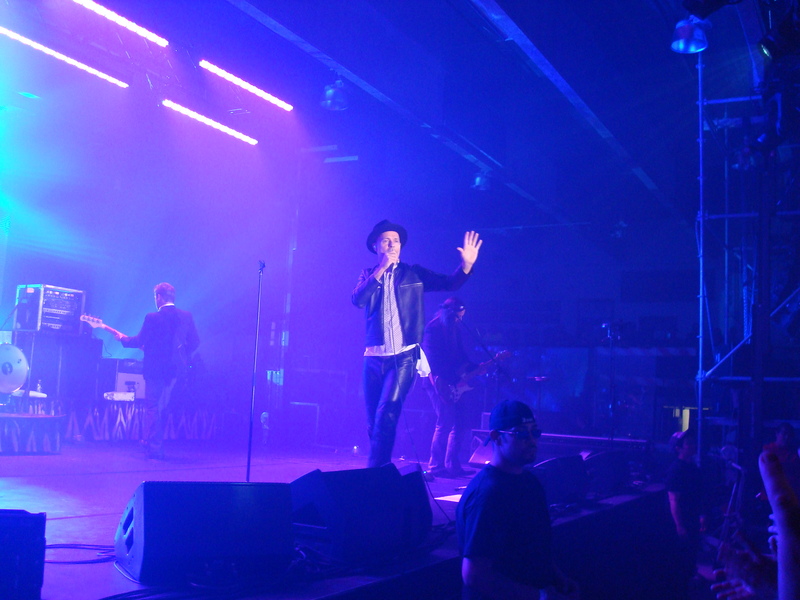 “My friend and I drove down from Sault Ste Marie, we knew this would an intimate show. The Timmins turnout alone for this show let alone the next night was large. The Hip have always operated on their own internal musical clock. At The Hundredth Meridian, Locked In the Trunk of a Car, Wheat Kings, My Music At Work and Blow at High Dough come to mind. Most of it all, it comes down to 5 guys performing great songs. A dialogue between the band and fans that on this night captured a unified voice! JOHN EMMS is a veteran music journalist, songwriter/musician and Sun Media contributor. And, is writing on their fourth ..Check out the band on ITunes and youtube worldwide. Anyone who thinks the 70’s Soul/R & B sound is not vital has not heard this absolute vital cd. 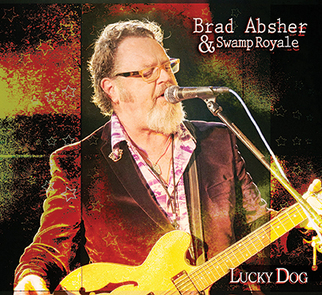 With updated 2015 engineering but still funky with old school roots Lucky Dog is always on my playlist. Every song makes sense in groove and melody. Whether it’s Absher’s classy originals like I Can’t Wait, I Need A Drink, and the swampy I Wanna Be Your Man or covering the great William Bell songbook on Miss Your Water and grooving New Orlean’s style on Allen Toussaint’s Lipstick Traces, Absher sounds relaxed and confident. On his own Not Tonight, Absher gives in to a best Nashville-esque ballad. Absher’s band on this cd bassist Larry Fulcher, drummer Mike Patton, and keyboard man Barry Seelen just can’t miss. Lucky Dog is soul/roots supreme folks. JOHN EMMS is a veteran music journalist/Sun Media contributor/online radio host, and songwriter/musician. 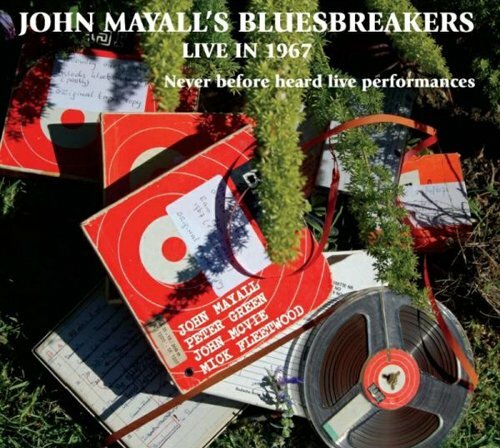 JOHN MAYALL’S BLUESBREAKERS-LIVE IN 1967, are you kidding me. Why, this was not released before is insane. Let’s face it readers, if you could go back in a time machine and witness John Mayall, Peter Green, John McVie and Mick Fleetwood gig at the Marquee Club in 1967 it would make any blues fan bucket list. In fact, the fly on the wall effect on hearing this lineup at this time is mind boggling. Just listen to Peter Green rip guitar solos through Looking Back, The Stumble and his inspirational solo on Stormy Monday. This is the stuff of legend folks. John Mayall is and always has been one of the greatest band leaders period. Here, as is now Mayall is the glue and the organic centre. His work on this cd with Have You Ever Loved A Woman, Some Day After Awhile, the groovy organ solos on Streamline or blowing mean and lean on Brand New Start is the real deal. Mick Fleetwood and John McVie support the solos, bang on in the pocket and went on to form Fleetwood Mac with Peter Green. Some of the songs vary a wee bit in quality, but I can tell you Freddie King and Otis Rush are smiling from ear to ear in blues heaven. A must have for any John Mayall or blues fan worldwide. JOHN EMMS is a veteran music journalist, songwriter/musician, Sun Media contributor, and radio host. The group has released 3 original albums all gaining National Airplay. Authentic, powerful and filled with gutsy emotion Cheryl Lescom has released one of the best blues/roots cd’s of 2015 with 1953. Opening with the street life hustle of Dime Store Lover, then gliding into the 50’s radio friendly Soul Shakin’ Romance and channeling a modern day Lena Horne vocal on songwriter Lynn Jackson’s Surrender, Lescom hits the heart’s centre. Not enough can be said about how well the players in the Tucson Choir Boys and the guest musicians understand the soul of the material. Dave The Cat, Les Graham, Sameday Ray, Kristine Walsh and Robert Reid pull off gorgeous chops on the beautiful It’s Not You It’s Me which has a standout vocal by Lescom. In fact, it’s one of the prettiest tracks I have heard over the last few years on any level. Then, there’s the powerful mid tempo track Places I’ve Been also written by Lynn Jackson and the punchy lioness fire of Nice Mix of Crazy. Either way, Lescom and Tucson Choir Boys turn out a distinct and powerful performance. JOHN EMMS is a veteran music journalist, songwriter/musician, radio host, and Sun Media contributor. JOHN has his own fun with his blues/roots band THE SHAFTMEN.. 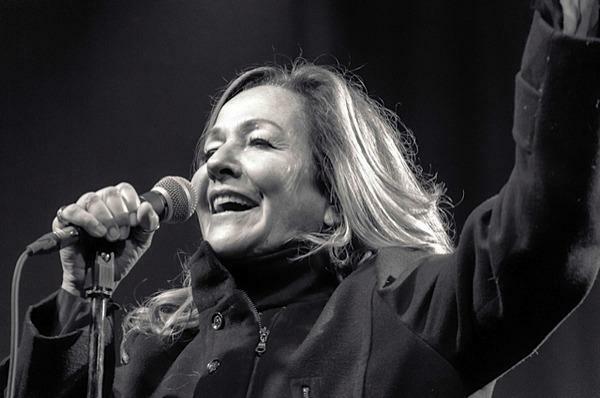 The band has released three full length albums and gained National Airplay with all.